It should be noted that one of the most common type of arrhythmia in adults is atrial fibrillation. This condition involves our heartbeat which can have an abnormal rate or rhythm. This in turn can result to your heart to beat too slowly, too quickly or in some cases become irregular. Although a number of arrhythmia cases are deemed harmless, and may not cause any signs of symptoms complications, there are a number of incidents that has lead to serious consequences requiring treatment. Complications become more prevalent with cases of atrial fibrillation with rapid ventricular response. AFib with RVR does raise a number of concerns to sufferers. This condition occurs when the fibrillation of the atria causes the lower chambers of the heart to beat in a rapid manner. What this does is that it often leads to a fast or fluttering heartbeat. A number of issues also comes along the way and patients may experience chest pains, shortness of breath, dizziness or even passing out. 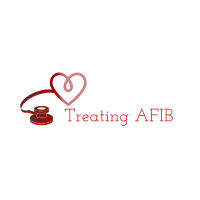 AFib with RVR is something that should not be taken lightly or for granted. The reason behind this is that this can result to the ventricles not efficiently pumping blood out to meet the needs of the body which can ultimately lead to heart failure. Aside from that, the rapid ventricular response can also increase the likelihood of chest pains making conditions such as congestive heart failure even worse. It is good to hear that with the help of modern technology, new innovative ways of treating atrial fibrillation with ventricular response are slowly being introduced to the public. One of them can be found in the form of Xarelto dosing. What Xarelto does to our bodies is that aids in reducing the risk stroke risk as well as blood clots for in nonvalvular atrial fibrillation (AF). This prescription medicine is also used to reduce the risk of forming blood clot in the legs as well as the lungs suitable to those who have just had knee or hip placement. It should be noted that Xarelto helps manage AFiB by keeping our blood thinner which greatly reduces the likelihood of blood clots. With that being said, just like any other medications Xarelto can cause serious damage if taken without proper dosage and prescription. Regular Xarelto dosing makes patients more likely to bruise while at the same time takes longer for their bleeding to stop. For that matter, it is important for patients to get in close communication with their doctors in order to allow for easy update and monitoring. Patients who develop signs or symptoms of bleeding should not take this lightly or for granted. Doctors should get the final say if the patient can continue or stop their dosage of Xarelto. This is the reason why patients are advised to work hand in hand with their doctors in order to treat any issues or complications in a timely manner.